Pro-grade results with beginner simplicity. 20.3"l. x 19.7"w. x 32.1"h., 54.37 lbs. 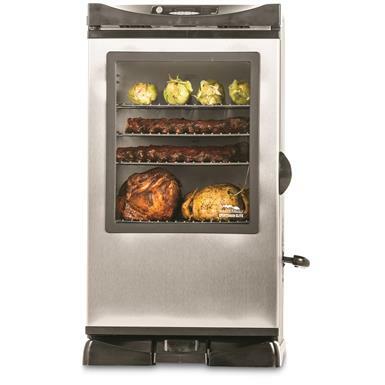 Turn "game bagging" day into "game-to-eat" day with this Masterbuilt® Digital Electric Smoker. 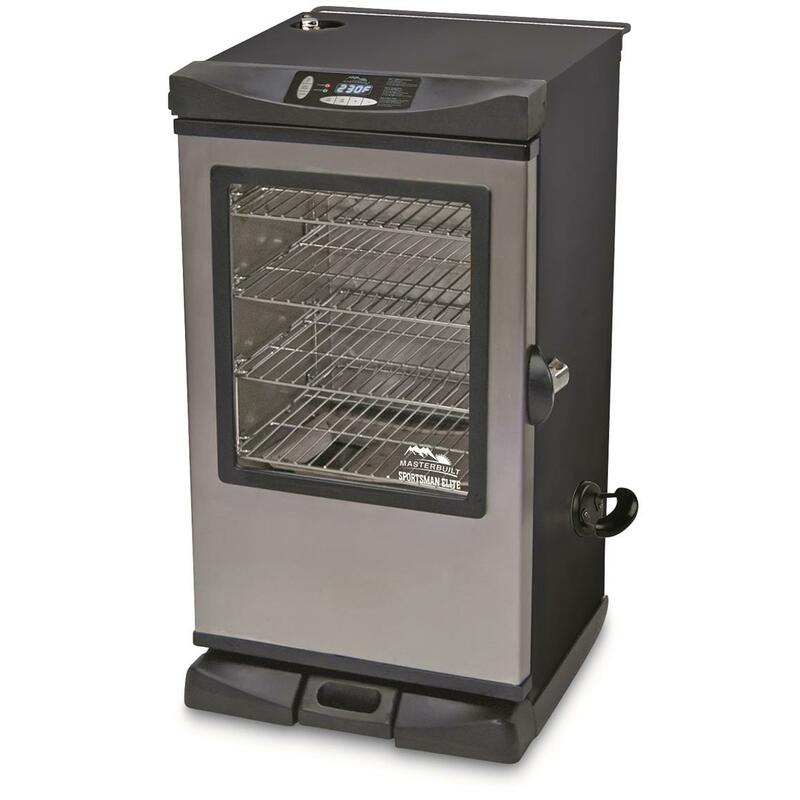 It's the perfect culinary tool for smoking game or fish, making jerky and more. Direct the digital panel from your couch using the included RF remote to control the temperature, time, food light, on / off, and to monitor the meat temperature. Simply plug this smoker in, set the digital controls, and it does the work for you—though you get all the credit. Cooking Area: 721 sq. in. Dimensions: 20.3"l. x 19.7"w. x 32.1"h.